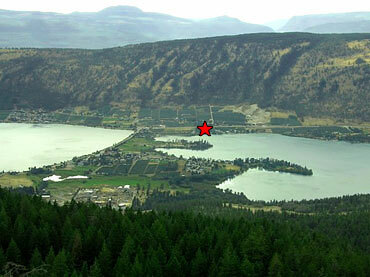 We are located in Oyama, which is between the cities of Kelowna and Vernon, British Columbia on Highway 97. 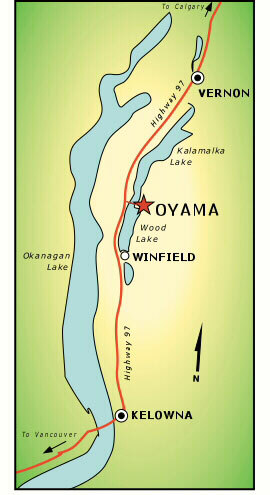 Oyama is perfectly situated between Kalamalka and Wood Lakes. - 20 Kilometers south of Vernon. Oyama, BC and is fairly easy to locate on Google Earth.